Johannesburg, South Africa—The world’s largest Scientology Life Improvement Centre opened to the sounds of traditional African music on March 26, with 1,000 university students, community and government leaders, artists and local Scientologists crowding Station Street in Johannesburg for the dedication celebration. The Centre offers practical courses such as improving communication, learning how to learn, conflict resolution, how to accomplish goals and overcoming personal and work-related stress. Located near the University of Witswatersrand (WITS) in the Braamfontein district of the city, the Centre serves a richly diverse community whose common goal is expressed in the district’s motto: “The place where people rise to greatness.” The Centre’s director, Edmund Dladlu, who served as master of ceremonies, pledged to work with the community to make this motto a reality. Special guest speakers reflecting the diversity of the district included Commander Eddie Mboweni of the Hillbrow Police Precinct who spoke of the partnership of his officers and the Church in its anti-drug and human rights education campaigns. Scientologist and music producer Robin Hogarth described how Scientology has helped him in his work to bring the music of South Africa to a wide audience, including producing “Blessed” and “African Spirit” with the Soweto Gospel Choir which won Grammy Awards for Best Traditional World Music Album in 2007 and 2008. Ms. Phumzile Zuma, daughter of President Jacob Zuma, spoke of the common-sense moral code, The Way to Happiness, and how much this book can help students, the community and the world. Member of Parliament Setlamorago Thobejane, General Secretary of the Congress of Traditional Leaders and Chair of the Institute of African Royalty, spoke of L. Ron Hubbard and the future of Africa. The ceremony closed with the traditional cutting of the ribbon, signifying the official opening of the Centre. Hundreds poured in to tour the public information center, viewing films and multimedia presentations describing Scientology beliefs and practices, the life and accomplishments of L. Ron Hubbard, and humanitarian activities of the Church including the Scientology Volunteer Ministers program, which provides community outreach, goodwill tours and disaster relief throughout Africa and around the world. The new Scientology Life Improvement Centre in Braamfontein is an outreach facility of the Church of Scientology of Johannesburg. In 2003, Mr. David Miscavige, Chairman of the Board of Religious Technology Center and ecclesiastical leader of the Scientology religion, traveled to South Africa to dedicate a new Church for the Johannesburg congregation at 1605 Langermann Drive in Kensington, the first of a new breed of Ideal Scientology Churches in Africa. The Braamfontein Life Improvement Centre is the ninth new Church facility to be opened in the past year. 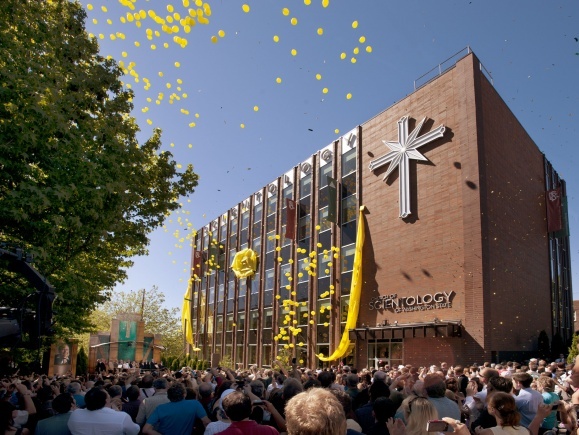 Major Churches opened so far in 2010 include the Church of Scientology and Celebrity Centre of Las Vegas, the Church of Scientology of Quebec, and the Brussels branch of the Churches of Scientology for Europe, now Europe’s largest Scientology Church. 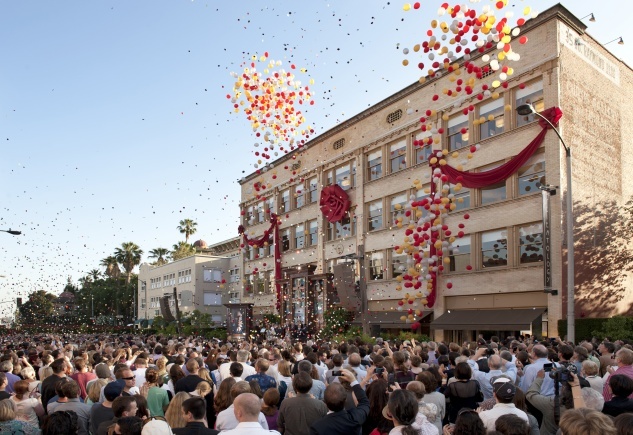 In 2009 five major Churches were dedicated: the Founding Church of Scientology of Washington, DC, the Church of Scientology of Rome, and Scientology Churches in Nashville, Tennessee; Dallas, Texas; and Malmö, Sweden. For more information on Scientology Churches and activities, visit the Scientology Website at www.scientology.org. Scientology Volunteer Ministers India Goodwill Tour Leader, Marion Whitta, a native of Australia, has become something of an institution in India. For the past four years she has been traveling throughout the country bringing help to cities, villages and townships, and training tens of thousands in spiritual technology developed by L. Ron Hubbard. 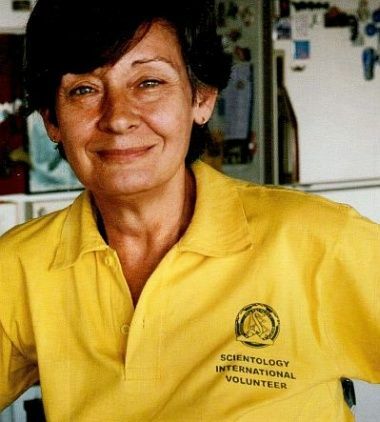 Whitta shares her thoughts about India and the Scientology Volunteer Ministers program. The Scientology Volunteer Ministers India Goodwill Tour Leader, Ms. Marion Whitta, originally from Australia, is interviewed on what the Tour has accomplished over the past four years and their plans for the future. Scientology Newsroom: How did you get the assignment to lead the Scientology Volunteer Ministers India Goodwill Tour? M.W. : I had always wanted to go to India. I was drawn by the spiritual heritage of the country, which is the oldest religious tradition on Earth. I was also inspired by Mahatma Gandhi—the man himself, his courage and his commitment to human rights and freedom. So in 2005 when I was given the opportunity to go to India, I was thrilled with the opportunity to reach out to people who were already aware of their spiritual nature and bring Mr. Hubbard’s spiritual technology to more than a billion people. And I had the perfect means to do so—the Scientology Volunteer Ministers program and its purpose to bring help everywhere and anywhere. Scientology Newsroom: Tell us about the Goodwill Tour? M.W. : Since arriving in September 2005 we have visited Delhi, Lucknow, Kolkata, Mumbai, Bangalore, Mysore, Ooty, Pondicherry and Ahmedabad. We’ve also visited many villages and townships, and we even spent a few weeks in neighboring Nepal. In each city we visit, we contact government, religious and community leaders and find out what they see as the most pressing needs that we can assist with. We then tailor our work to fit the needs of the people in each region. In every area we visit, we train as many people as possible to administer Scientology Volunteer Ministers techniques. We deliver these courses in our big yellow tent and seminars and workshops in universities, schools, government offices, police departments, military camps, even in apartment complexes—wherever people want to learn how to help, and wherever help is needed. Once people learn this technology virtually everyone wants to be a Scientology Volunteer and we help them set up their own groups. These groups in turn reach out to those in need. For example, our Kolkata group mobilized a team of volunteers last year to assist survivors of the floods in Bihar. 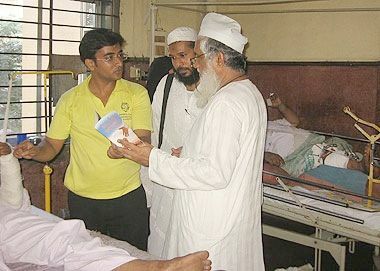 After the Mumbai terror attacks, Scientology Volunteers from throughout India poured in to help in our disaster response activities. Scientology Newsroom: What is the Scientology Volunteer Ministers movement?